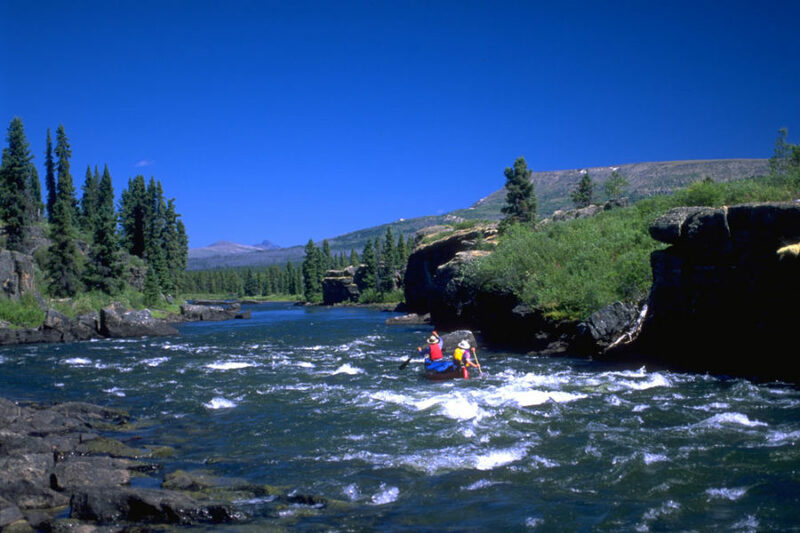 exciting whitewater paddling on "the great river"
Beginning in a long mountain lake nestled in the dramatic Spatsizi Plateau, we‘ll canoe the Upper Stikine River and explore the alpine reaches of Spatsizi Wilderness Park. 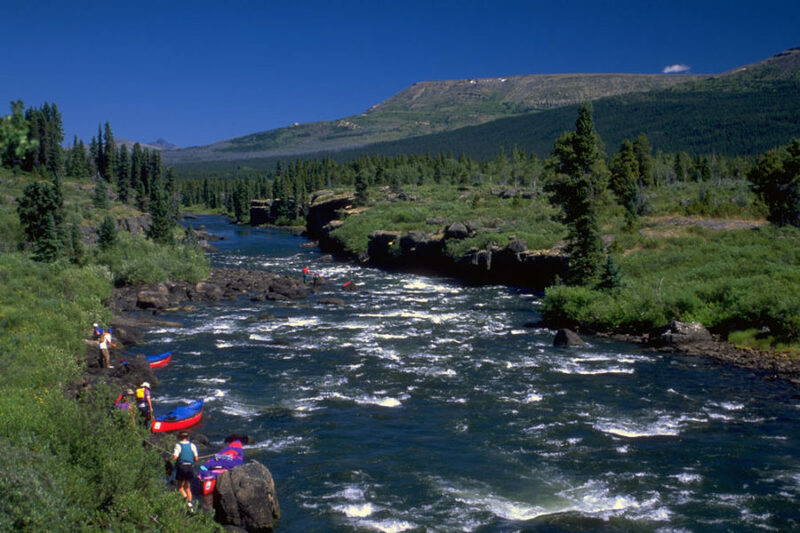 The Stikine River offers an exciting and varied experience for paddlers comfortable with Class II and III whitewater. The Upper Stikine, a coastal range river, takes us on a 225-kilometre journey with an elevation drop of 303 metres (approx. 909 feet) from the top of the Spatsizi Plateau to the upper end of the river’s Grand Canyon. We travel in Voyageur (minimum 5 passengers) and two-person canoes. 1998 was our first exploratory trip on the Stikine. Daily changes and adjustments to this itinerary are likely as we explore the river valley and adapt to weather and resulting changes in river flows. Our journey culminates at the “Grand Canyon” of the Stikine River. 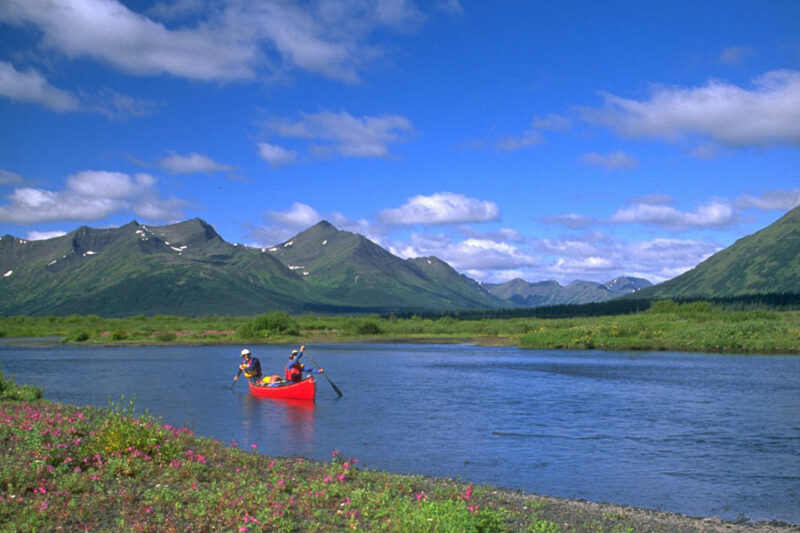 You may want to plan to connect with our Lower Stikine 15 Day Expedition and enjoy a longer canoeing journey to Wrangell, Alaska. 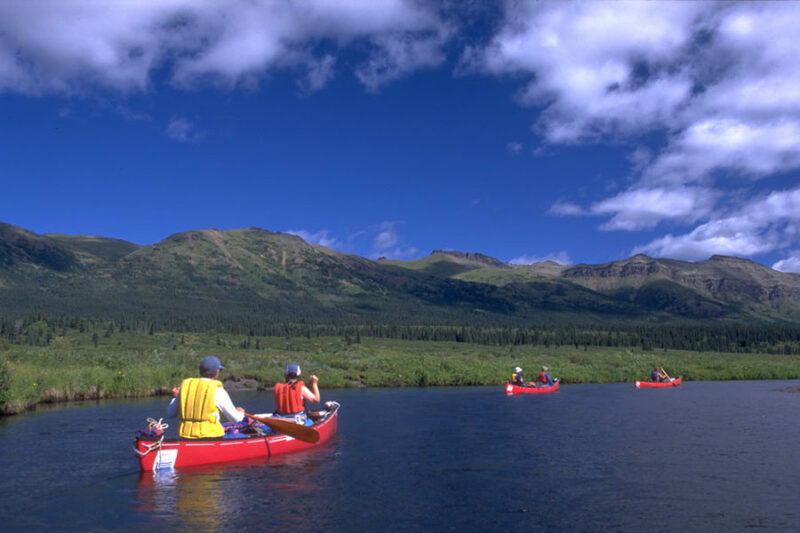 Skill Prerequisites: Canoeing the Stikine River provides an exciting, swift trip for paddlers comfortable with Class II and III whitewater. If you are unsure of your ability, please call with any questions: 1-800-297 6927 or (867) 668-3180. 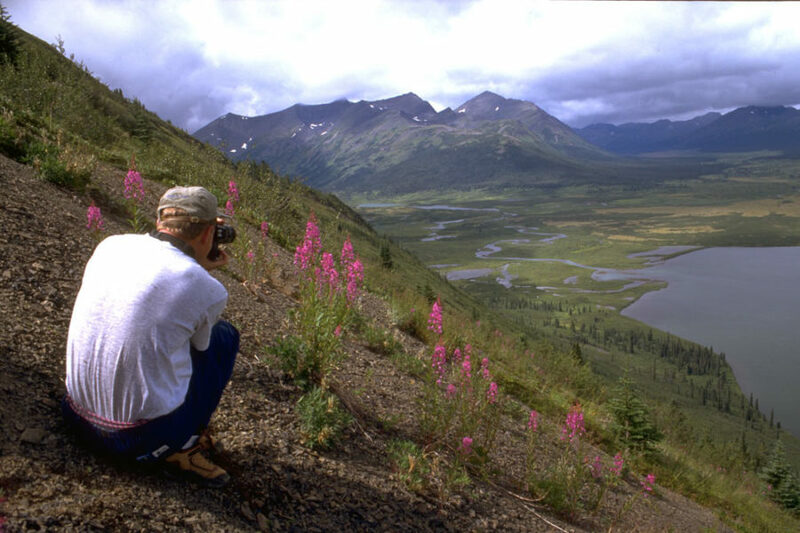 The Upper Stikine makes a 225-kilometre (140 mile) journey with an elevation drop of 303 metres (909 feet) from the top of the Spatsizi Plateau to the upper end of the Grand Canyon of the Stikine. The Plateau country is panoramic and dramatic. 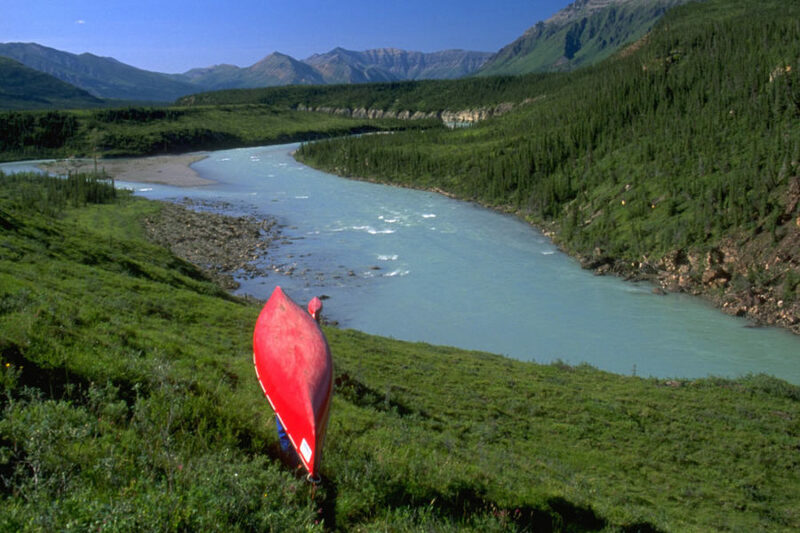 We will encounter rapids that will require a short portage to negotiate safely. The following is a tentative itinerary. Daily changes and adjustments are likely as we explore the valley and adapt to weather and river demands. The scheduled flights arrive in Whitehorse throughout the day. Aim to arrive by 6 p.m. Please make your way to your hotel and plan to rendezvous with your guides at the High Country Inn at 8 p.m. for an orientation meeting (enquire at the desk for meeting room). There will be a chance for last minute questions concerning clothing, gear, packing and other details. 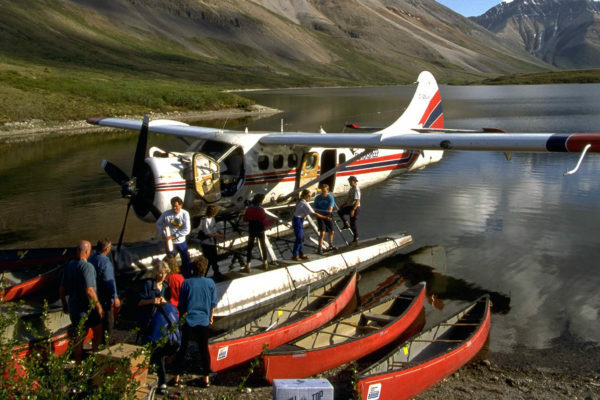 We’ll drive to Dease Lake to catch our charter flights into Tuaton Lake. Winging over the Spatsizi Plateau, you’ll to keep your camera handy. By evening we should have everyone in camp on the picturesque shore to the long mountain lake. Following the ridge from the lake, we’ll hike into the alpine country of Spatsizi Plateau Wilderness Park. The open ridges afford panoramic views, wildflowers and hopefully sheep, woodland caribou and other wildlife. The Upper Stikine makes a 225 kilometre (140 mile) journey with an elevation drop of 303 metres (909 feet) from the top of the Spatsizi Plateau to the upper end of the Grand Canyon of the Stikine. The Plateau country is panoramic and dramatic. 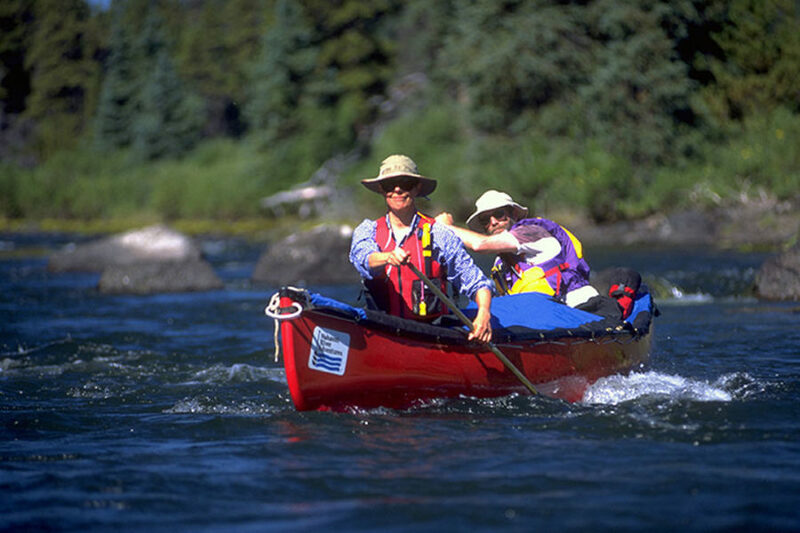 We’ll encounter rapids that will require a short portage to negotiate safely. In the morning we’ll begin our paddle down Tuaton Lake. 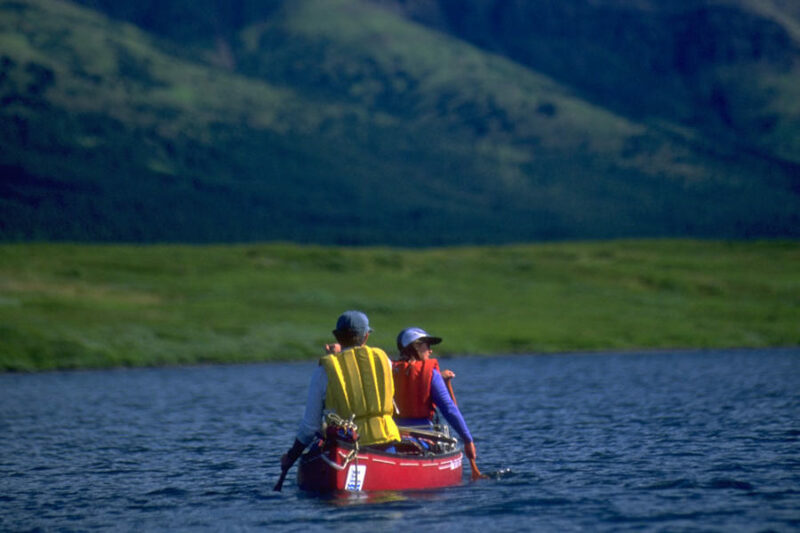 As we traverse the lake, we’ll review strokes that will be necessary to negotiate the rapids once we reach moving water. Camp will be in the vicinity of the stream linking Tuaton Lake with Laslui Lake. Fishing in these waters is likely to be rewarding. Another hiking day will take us into the ridge country among the peaks to explore further. 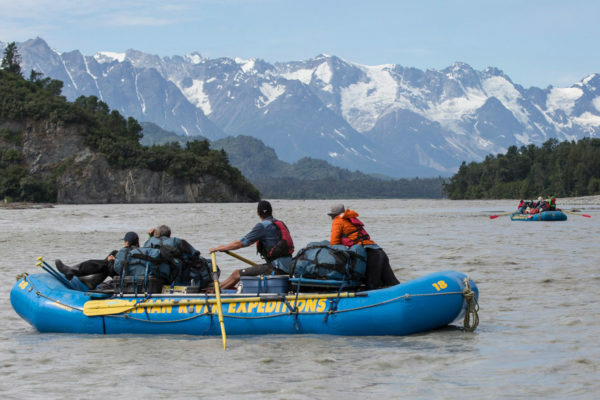 We’ll paddle the length of Laslui Lake, making our way to the mouth of the Stikine River and engage the river, taking us to Fountain Rapid portage. The river will now rule our days with swift excitement. Scenery will change with each bend in the river. Scouting from the river, we will negotiate the Class II and low Class III rapids. Previous river reports indicate some well-marked portage trails. 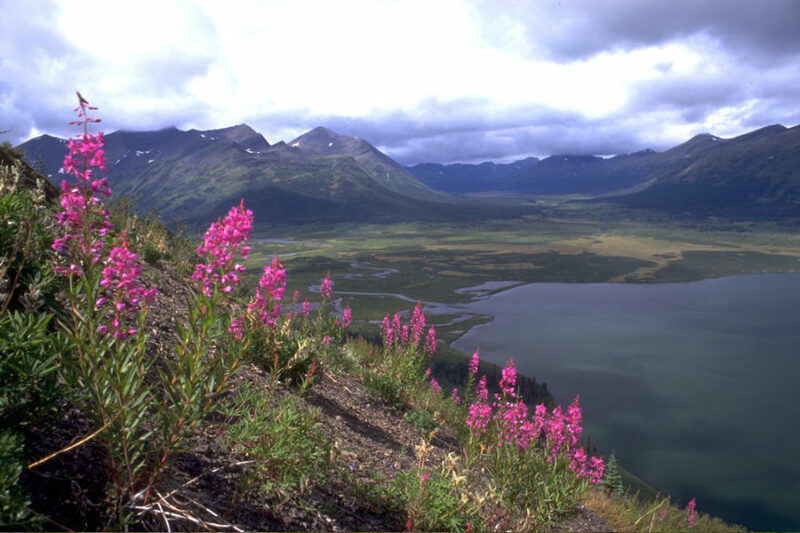 This is the homeward bound day for those on the Dease Lake option, unless you are awaiting the Lower Stikine expedition on August 4. For those on the Whitehorse option, we’ll be travelling the scenic Cassiar and Alaska highways back to Whitehorse. Please note that hotel and meal costs are not included. This is the day that you’ll be able to catch your flight home.